If you are wishing to teach grades six through twelve English in the state of Florida, you must pass the one essay, 80 multiple-choice question FTCE English 6-12 test. 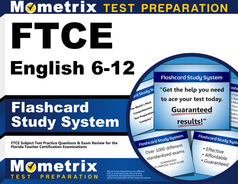 Here at Mometrix, we have dedicated our time and efforts to research the FTCE English 6-12 test extensively. Due to this research, we have crafted the FTCE English 6-12 practice test. 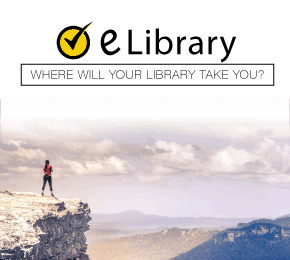 This free practice test will comprehensively address the main themes of this test, such as: Effective Use of the English Language; Effective Writing Skills; Literacy Processes Across Genres; Fiction, Nonfiction, and Informational Texts; Critical Responses to Media; as well as Critical Response and Analysis of a Literary Selection. 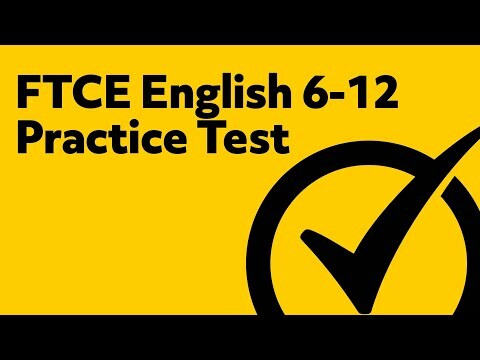 This practice test, partnered with our FTCE English 6-12 study guide, will ensure you improve your chances of passing the FTCE English 6-12 test. To register for the exam, a candidate must log into their FTCE/FELE account (or create an account, if necessary). Payment of exam fee is required at time of registration. Test appointment confirmation will be emailed to the candidate. On a candidate’s first attempt, the exam fee is $200 for both sections. If a retake is necessary, a single section costs $150. To retake both sections, the exam fee is $220. The exam is administered by Pearson at various locations throughout Florida and the United States. Test appointments are available year round. Test dates and location will be selected during registration. What should I bring with me the day of the exam? Please report to the test site at least 30 minutes before your appointment. Two valid, unexpired forms of identification must be presented when you arrive to take the exam. Both forms of identification must be in English. A secured storage area is provided for all personal items. An erasable notepad and pen will be provided by the test proctor for note taking. What is the format of the FTCE English 6-12 subject exam? The computer-based exam consists of two sections. The multiple-choice section is made up of approximately 80 multiple-choice questions. There may be some pretest questions included in this section that are not scored. The written performance section requires a written essay. The two sections are administered and scored independently of each other. A passing score is required on both sections in order to pass the exam. What is the time allowance to complete the exam? One hour and 30 minutes is allowed for the multiple-choice section. One hour is allowed for the written performance section. The competencies and skills measured on the multiple-choice section of the exam fall into 5 content areas. The written performance section measures competency and skill in the demonstration of the ability to respond critically through an analysis of a literary selection. A score of 200 or above is required to pass the multiple-choice exam. A minimum of 8 out of 12 points is required to pass the written performance section. A passing score must be achieved on both sections in order to pass the exam. Immediately upon completion of the multiple-choice section, an unofficial score of pass or no-pass is provided for that section. Official scores will be provided within 4 weeks after testing. What if a passing score is not achieved? If a passing score is not obtained on the first attempt, a candidate may schedule to retake the exam after a waiting period of 31 days. A candidate is only required to retake the section of the exam that they did not previously pass. There is no limit to how many times the test may be taken. What is the best way to prepare for the FTCE English 6-12 subject exam? The best way to prepare for the exam is to use quality test materials. The exam experts at Mometrix have thoroughly researched the test content and compiled it into easy to use study materials. 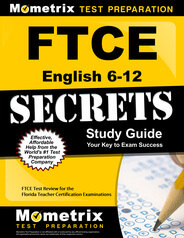 The FTCE Secrets Study Guide and the FTCE Flashcards available from Mometrix provide all you need to achieve a passing score on the exam. Both products include study secrets, practice test questions, tips to deal with test anxiety, a 100% money back guarantee, and much more. Order the Mometrix study guide or flashcards today to be on your way to success on the FTCE English 6-12 exam and teacher certification in the state of Florida. Mometrix Academy is a completely free resource provided by Mometrix Test Preparation. 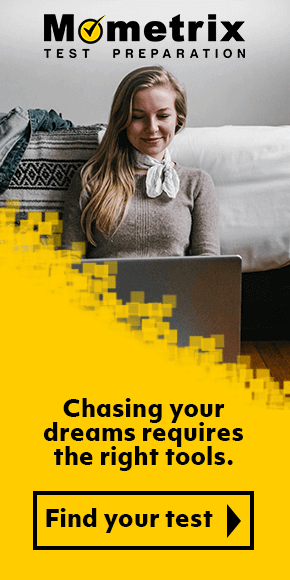 If you find benefit from our efforts here, check out our premium quality FTCE English 6-12 study guide to take your studying to the next level. Just click the FTCE English 6-12 study guide link below. Your purchase also helps us make even more great, free content for test-takers.